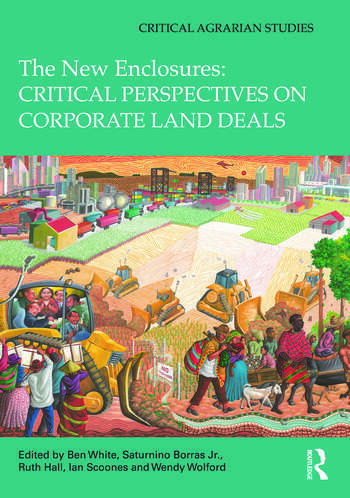 This collection explores the complex dynamics of corporate land deals from a broad agrarian political economy perspective, with a special focus on the implications for property and labour regimes, labour processes and structures of accumulation. This involves looking at ways in which existing patterns of rural social differentiation – in terms of class, gender, ethnicity and generation – are being shaped by changes in land use and property relations, as well as by the re-organization of production and exchange as rural communities and resources are incorporated into global commodity chains. It goes further than the descriptive ‘what’ and ‘who’ questions, in order to understand the ‘how’ and ‘why’ of these patterns. It is empirically solid and theoretically sophisticated, making it a robust and boundary-changing work. Contributors come from various scholarly disciplines. Covering nearly all regions of the world, the collection will be of interest to researchers from various disciplines, policymakers and activists. Saturnino M. Borras Jr. is Associate Professor at the International Institute of Social Studies (ISS), The Hague. He is also Adjunct Professor at China Agricultural University and Fellow of the Transnational Institute (TNI) and Food First. He is the Editor in Chief of the Journal of Peasant Studies, and is a founding member of the Land Deal Politics Initiative. Ruth Hall is Associate Professor at the Institute for Poverty, Land and Agrarian Studies at the University of the Western Cape, South Africa. She coordinates the land theme of the Future Agricultures Consortium, is Reviews Editor of the Journal of Peasant Studies, and is a founding member of the Land Deal Politics Initiative. Ian Scoones is a Professorial Fellow at the Institute of Development Studies at the University of Sussex. He is joint coordinator of the Future Agricultures Consortium and co-director of the STEPS Centre. He is a member of the editorial collective of the Journal of Peasant Studies and a founding member of the Land Deal Politics Initiative. Wendy Wolford is the Robert A. and Ruth E. Polson Professor of Development Sociology at Cornell University. She is author of This Land is Ours Now: Social Mobilization and the Meanings of Land in Brazil (Duke Press, 2010) and is a member of both the editorial collective of the Journal of Peasant Studies and the Land Deal Politics Initiative.